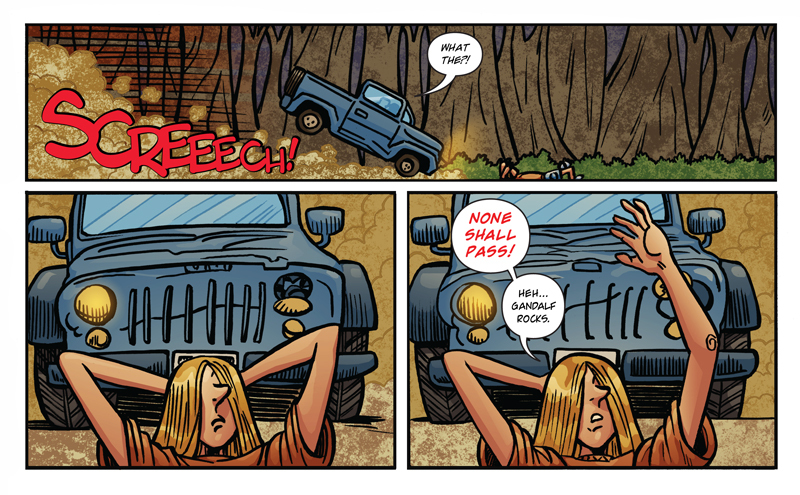 Just to be clear, Taylor hit the breaks, Wallace didn’t use any powers or do anything fancy to stop the jeep. That being said, tune in next week ’cause we are about to start a wicked fight scene that will last a few weeks! New Vote Incentive: Vote below to see the first sketch ever of Tegan!